Picture taken at the end of the 1980ies. There are only a few railways around the world where it is still possible to turn back time with affordable effort and acceptable compromise. The Dona Tereza Cristina is one of them. 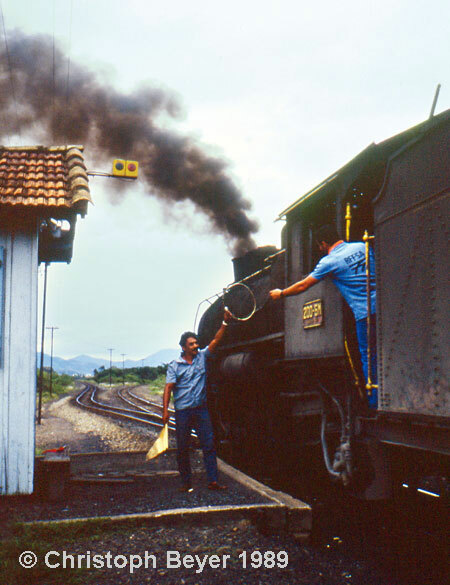 Some two decades ago the last steam clouds from the stacks of the massive metre gauge 2-10-2s disappeared into the Brazilian sky. 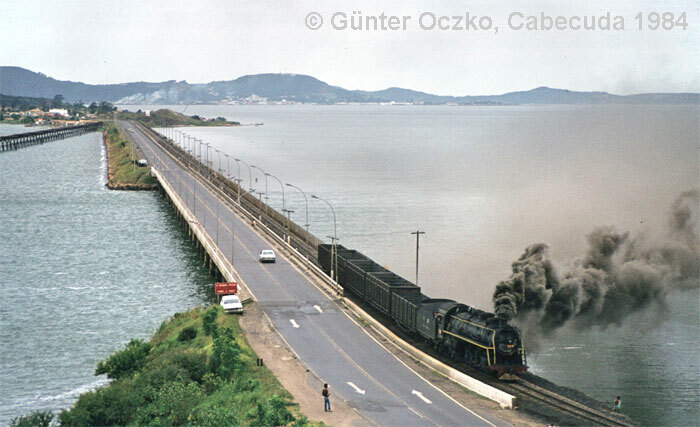 Since then the FE Dona Tereza Cristina has operated its heavy coal trains with diesel locomotives. 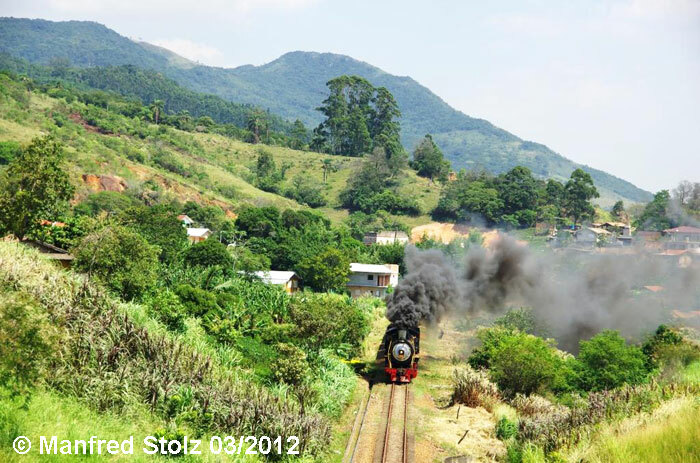 But for tourist trains, they kept and still keep a few steam locomotives serviceable. Although the line, with its gradients and tunnel, hasn’t changed at all, the wagons have gained a white stripe nowadays and one steam loco has been painted green and another one dark red. However, I always thought it must be possible to get the coal trains back to being steam hauled some day. I’ve been trying since 2009, and in April 2012 I travelled over to Tubarao to talk to the railwaymen. 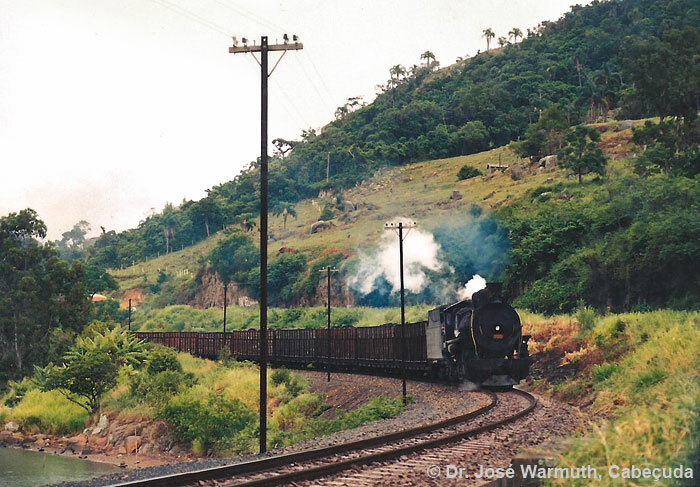 I chartered a railcar to have a close look at the line to Urussanga where the fantastic wooden coal loading facilities are still in use. I also visited the other lines and, yes, there is still a lot of potential. Many places look exactly as they did in 1990. This is one of the Texas locomotives, which we'll not see in steam on this tour. The railway agreed that it is feasible to recreate the time when heavy coal trains were hauled by steam. 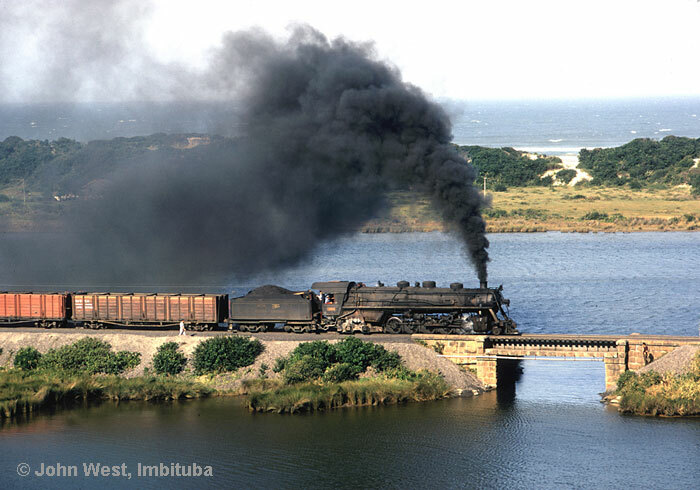 As I also wanted to offer a loaded coal train on the line to the harbour at Imbituba, they found it necessary to make a test run. And so they did: in winter 2012, for the first time in many years, 2-10-2 no. 205 fought against the long gradient to make it up to the summit. An amateur video from this remarkable event is available. The locomotive struggled with 18 loaded coal wagons, so I agreed to reduce the train length to 15 loaded wagons for our event. We’ll repaint two sets of wagons and one of the locomotives to make our trains look authentic. We’ll use locos 205 and 153 for our event. Although the Jung loco would be probably preferred by the Germans, it wouldn’t be really authentic in line service as it spent most of its life shunting. We’ll haul regular trains as well as chartered trains. Historic footage with Taxas engines (which we'll not see in steam) and others by Manfred Stolz. Please click in the picture to start the video. Arrival São Paulo, connection flight to Florianópolis. The flights can be booked by FarRail Tours. By chartered mini buses continue to Tubarão, Hotel in Tubarão. The railway was built in the 1880s. Despite all plans, it remained an isolated system. 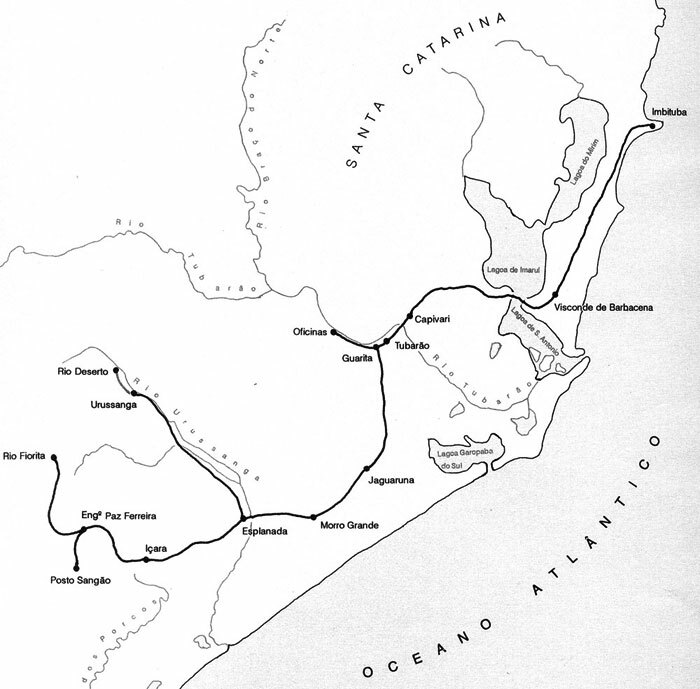 In 1957 the system was absorbed by the newly founded state railway “Rede Ferroviária Federal” (RFFSA), but it always acted independently. At the end of the 1960s the general freight traffic and the passenger service was suspended. 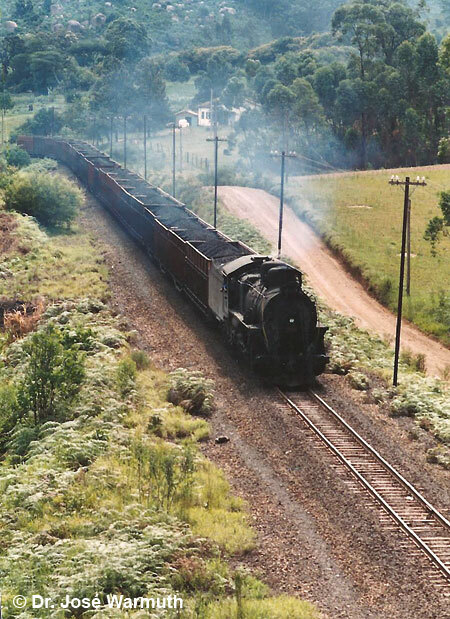 Since that time the railway has only transported coal and  with longer interruptions  container trains. 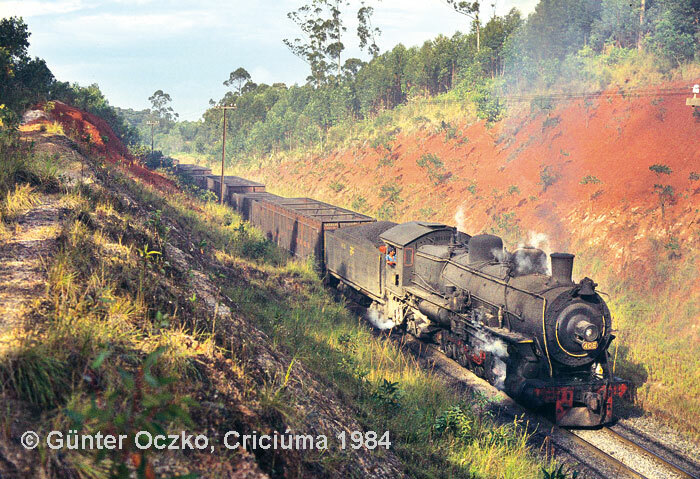 At the end of 1990 the state railway was privatised and the line began running under the label Ferrovia Tereza Cristina (FTC). 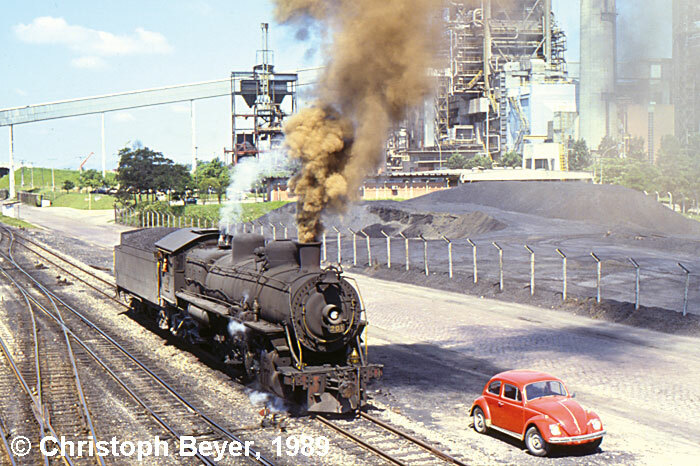 After a heavy flood in March 1974, the scenic line to the mine Lauro Müller was closed. This was the branch which required the Mallets due to the light tracks. 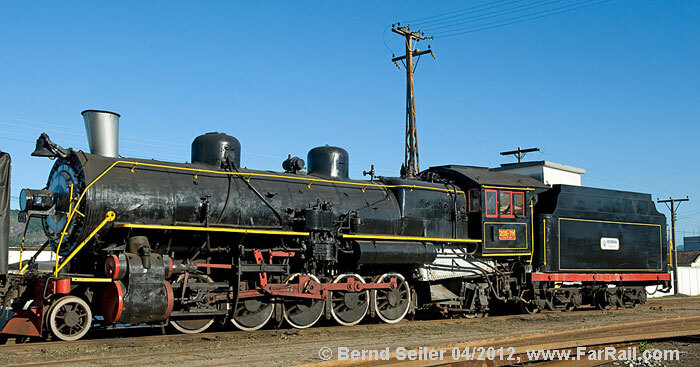 At the end of the 1970s, the railway purchased eleven 2-10-2 locomotives from Argentina which came to the line in 1980. Together with the large Texas (2-10-4) locomotives they now had sufficient motive power for the heavy coal traffic and could replace all Mallets. Since the Mallets disappeared from the network, the Texas 2-10-4 class was without a shadow of a doubt the star of the DTC lines. But after a fatal boiler explosion of no. 312 (15.8.1981) they found problems with other boilers too. They could only run with reduced boiler pressure and had to be replaced. The state railway sent GM diesel locomotives to help out with motive power. 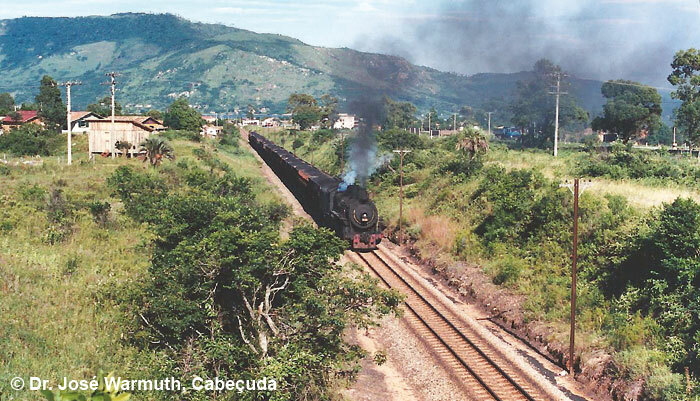 The diesels where mainly used on the section to Imbituba, the south-western lines saw mainly steam locomotives. During the 1980s the operation was a mixture of steam and diesel and at the end of the 1980s the railway tried to improve their steam locomotives. 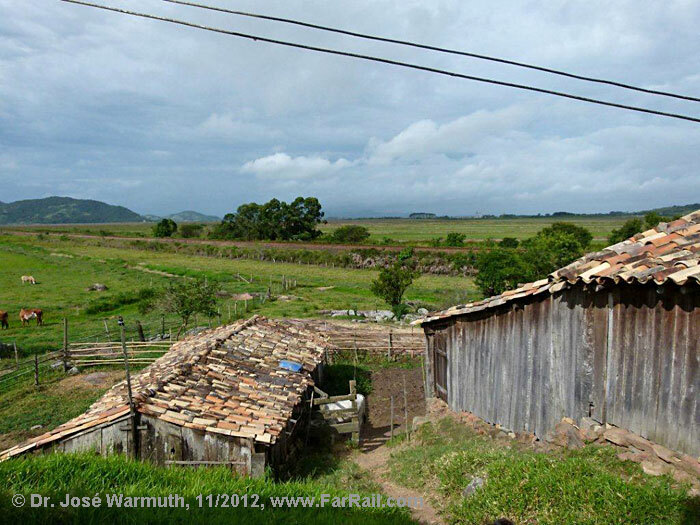 Today’s network is still centred in Tubarão, where the workshop and the shunting yard are. 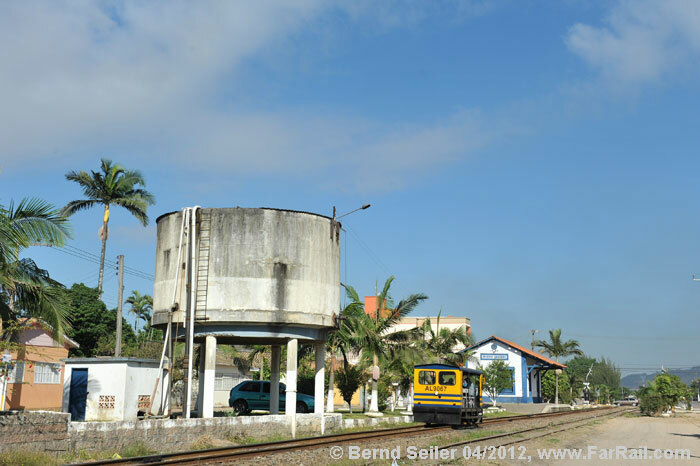 From here a line goes via Capivari, where the main customer of the railway, a power plant, is situated, to the harbour in Imbituba. This line has some gradients in both directions which were especially a big challenge for loaded coal trains. 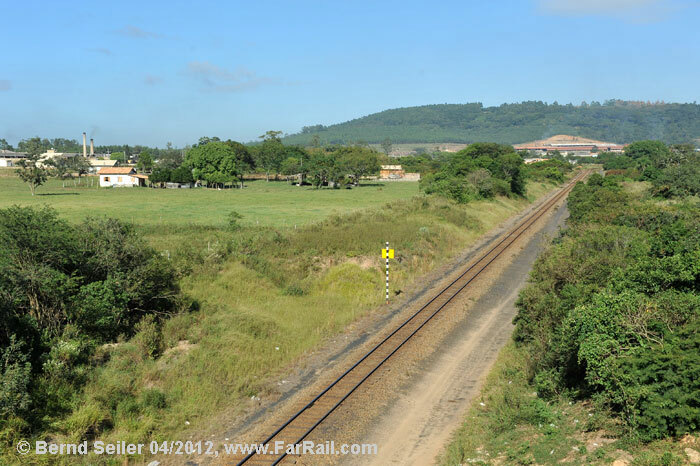 Currently there is no regular traffic on the line, but the railways hope to be able to win a contract for transporting containers from the harbour to Tubarão soon. This would bring back traffic to this line; expected is one pair of trains daily. Because I want to run a loaded coal train to the harbour just as it used to be before the early 1990s, the railway made a test run with a 2-10-2 locomotive. The locomotive needed to fight hard with the heavy load, but the black beast made it! However, we'll limit the load to 15 wagons to avoid technical trouble. 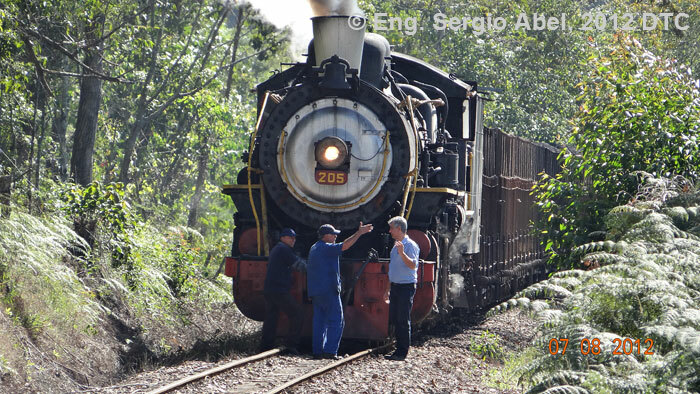 On the line to Imbituba you’ll find several nice positions which haven’t changed much since the last steam train passed by. One special feature is the crossing of a lagoon. The old bridge was abandoned decades ago, and the then new dam, combined with an important road is now the old structure. The construction to make it a four lane dam will start anytime soon and we’re not sure whether the dam through the lagoon will still look the same when we’re there in July 2013. Near to Imbituba you’ll find a spot where you can see the sea. The other lines go to the coal fields  and into the mountains. 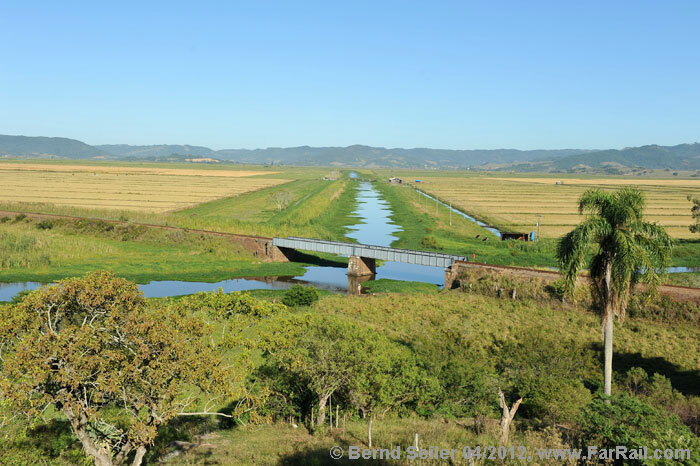 There are three main coal mines which are served by the railway: Urussanga, Rio Fiorita and Prospera Posto Sangão. The line to Urussanga leaves the main line in Esplanada, a small station with a triangle. After a long uninspiring section, the line becomes more and more beautiful. 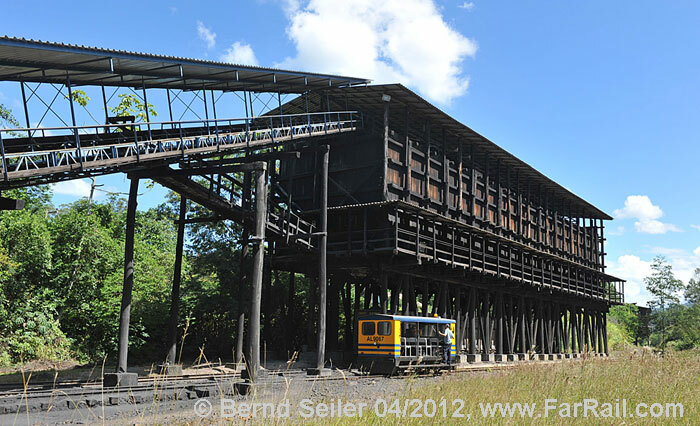 But the main attraction is the wooden coal loading facilities. As the light conditions are difficult we also planned a night shoot here. 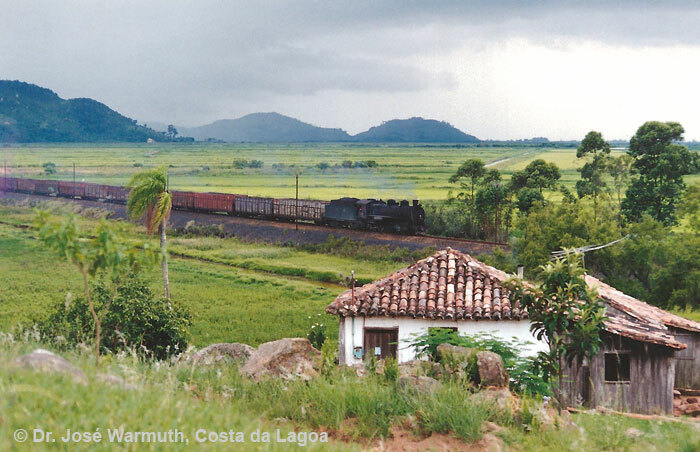 The steepest of this branch from Urussanga to Rio Deserto was abandoned long ago. However, the gradient allows only nine wagons for the 2-8-2- no. 153. The main coal mine with some ten to eleven pairs of trains a day continues via the large station of Eng. Paz Ferreira in Criciúma. From there the line climbs steep uphill into the mountains. 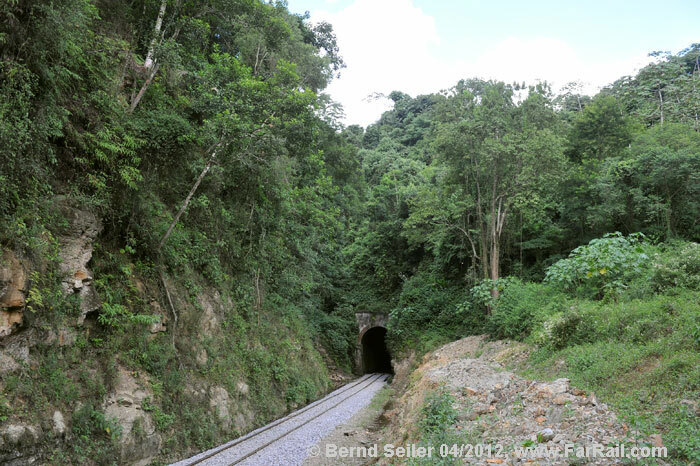 The summit is shortly before the terminus in a long tunnel. It took long negotiations to allow us to use a steam locomotive on this section where the main production is coming from. The mines are in Rio Fiorita next to Siderópolis. There is also a triangle where the loco can be turned. We can only use this line on a Sunday, when the normal traffic rests. The line to Posto Sangão is only some six kilometres long. It starts from Eng. Paz Ferreira, lays first in the middle between two roads, then follows the road and afterwards is covered by bushes and trees, so we decided not to go there. The system has three serviceable steam locomotives: one Jung loco which spends almost its entire life in the power plant and is hence not ideal for using it on the line, an Alco no. 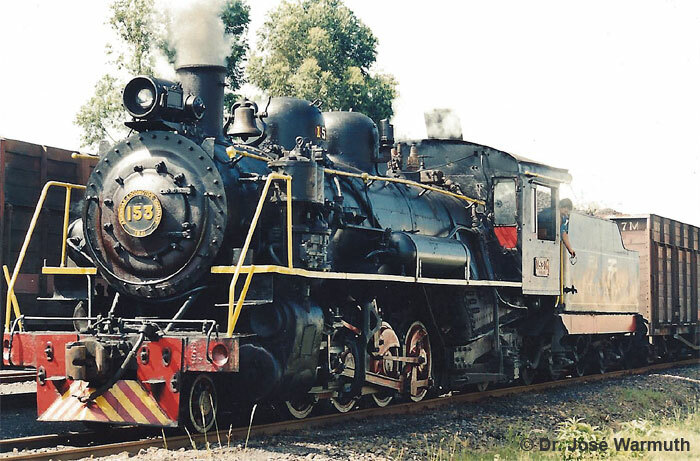 153 which was used for shunting as well as light line operation and one of the large 2-10-2 Santa Fes, no. 205. We will repaint the latter two, no., 153 completely, because it's green (and never was before it became a tourist toy) and no. 205 to give it the original logo on the tender and a black chimney and smokebox door. The side walls of the freight wagons are not made from wood any more, but are using waste plastic which looks almost perfectly like wooden planks. The only problem: they painted a white stripe along all side walls. This is a contribution to the road traffic, regarding better visibility. We'll re-paint 25 wagons to the colour of the pre 1990s to make these wagons our trains. More pictures from the line today you'll find here. Brazil is still known for its crime problem. And yes, there are some areas especially around Criciúma where you should not go alone with a big camera or anything which might look valuable. But in general you can feel quite save, especially when you're travelling in a group like ours. There are only two time slots when you can arrange an extensive tour like ours: mid July and mid August. At these times, the number of trains is a bit lower than usual and the railway has two to four extra loco crews which they could sign in for our trains. This is mid-winter in Brazil, which means the temperatures are pleasant. July is the month with the lowest number of rainy days (nine) and the lowest average temperatures: around 12 degrees centigrade in the morning and around 20 degrees centigrade in the afternoon. So the restriction to this month fits perfectly for photographers and video film makers. 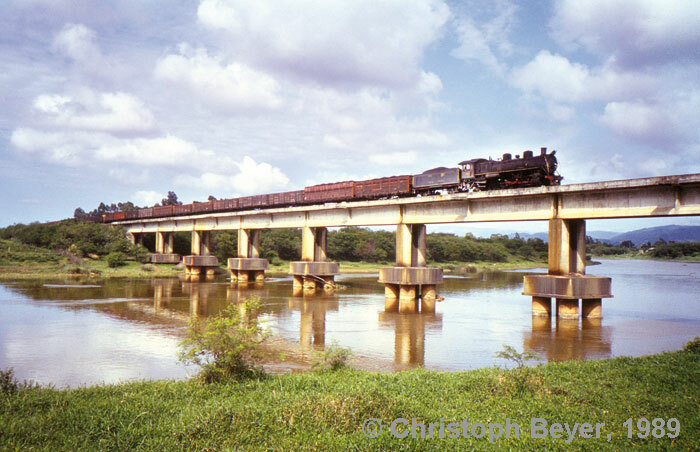 To photograph the freight trains it's necessary to approach the line by road. But we can neither take a hired car nor a big bus. The roads to the line would neither allow a large number of cars nor a bigger bus. Hence we'll charter minibuses. We’ll have drivers, but in Brazil self driving is not a problem at all, you don't need any special skills (only a driving licence of course). The tour is not designed for individual train chasers. We'll get the information about trains and will forward them to all group members, but not to people who want to chase the train with their own cars. We can't accept that the narrow roads are blocked by crazily parked cars when we’re trying to reach our photo position with our minibuses. I'll not sell train only tickets. It is a group tour. Everyone who was on a FarRail Tours trip already knows that we'll get amazing pictures with the group and there is no need to try to get another grab shot by chasing the trains. As usual we focus on getting one really good shot a day. Usually we produce many more of course. The standards I set for claiming a shot to be a really good one are high. Steam locomotives seem to be simple, but they are still complex machines. The locos we're using are usually hauling light tourist trains. They hauled one empty freight train in March 2012 - and the heavy loaded train in winter 2012. But that's just nothing for a test. You need to be able to deal with failures if you want to join us on this tour. When one locomotive fails we can only replace it with another type of locomotive, there are no classmates which could help out. Please be aware of this problem, there is no insurance against it and there is no refund offered in case it happens. On the other hand we need to operate between the regular trains. This means we may need to wait in a siding for regular diesel trains to pass or cross. We worked out a detailed timetable for our tour, but we'll not publish it. We want to avoid seeing free-loaders spoiling our photo spots or covering the whole line in a cloud of dust just because they're chasing the train and arriving at the very last second. Brazil is a quite safe country to travel to. However, you should always use common sense when crossing roads and railway tracks and consider the risks while taking part in any kind of travel, especially near or on trains. You’re travelling and taking part at your own risk. No risk is covered by any insurance, the hotels do not pass an EU-safety check, the quality of the water is not regularly checked as we’re used to it in Europe, Australia or North America. Do not book this tour if you expect to find a perfectly operated railway using European safety standards or a well protected lifestyle on the streets and in the backyards of drug dealers! FarRail Tours cannot be held responsible, and will not accept any liability whatsoever in the case of any robbery, accident, damage or delay. We suggest you take out a comprehensive overseas accident and health insurance policy. The price is a land only price. It is based on the current exchange rates. If there are major changes in this rate or collapsing financial systems we’ll need to adjust the price.